Well this morning three of us headed out in the cold to the field that produced my 1883 Indian Head in Brutality of Butler County. Today the only thing brutal was the weather. It was 9 degrees when we hit the ground swinging. This site was a church from the late 1880’s until 1923. We had probably been swinging for an hour and had only found trash. All of a sudden I hear the rookie of the bunch hollar at me that he had something and gave me a thumbs up. 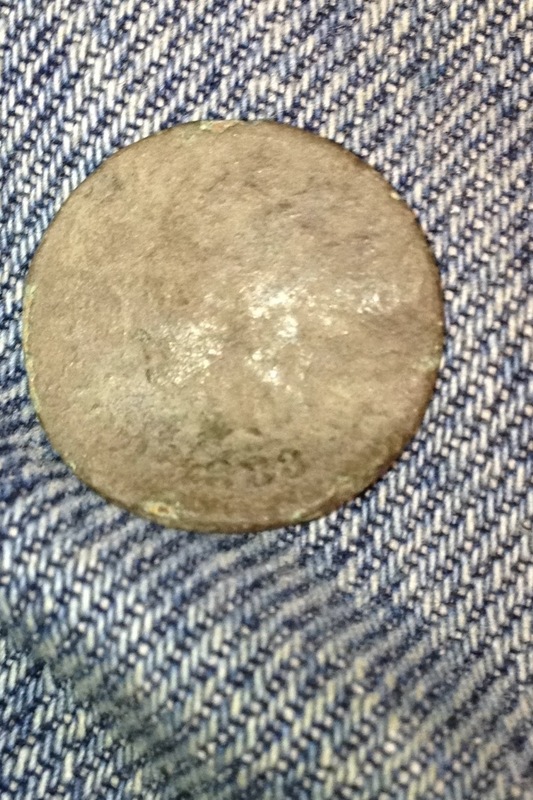 Once I got closer he said it was an old coin but he wasn’t sure what it was. I looked at it and could tell it was an indian head. I couldn’t see the date but it ended up being a beautiful 1888. After awhile we were all three kind of spread out over a 10 acre section. The rookie again hollered that he had something good. PullTab Miner and I hustled over and I saw the silver reeded edge in a frozen clod. I think we were almost as excited as he was to get a good look at the coin. All morning we were hoping for a seated. The backside of the coin showed a wreath and I was certain it was a seated because the wreath looked different to me than a Barber. After some investigation we realized it was a Barber. It was definitely unlike the Barbers I have found though, it was near perfect. This is the nicest Barber I have ever seen come out of the ground. “The Rookie” has only been swinging his ATPro for a week! Welcome to the Garrett Family.. He took us to school today and I couldn’t be happier for him. Later in the day I received a message that he had found yet another silver and a possible gold ring from another location. 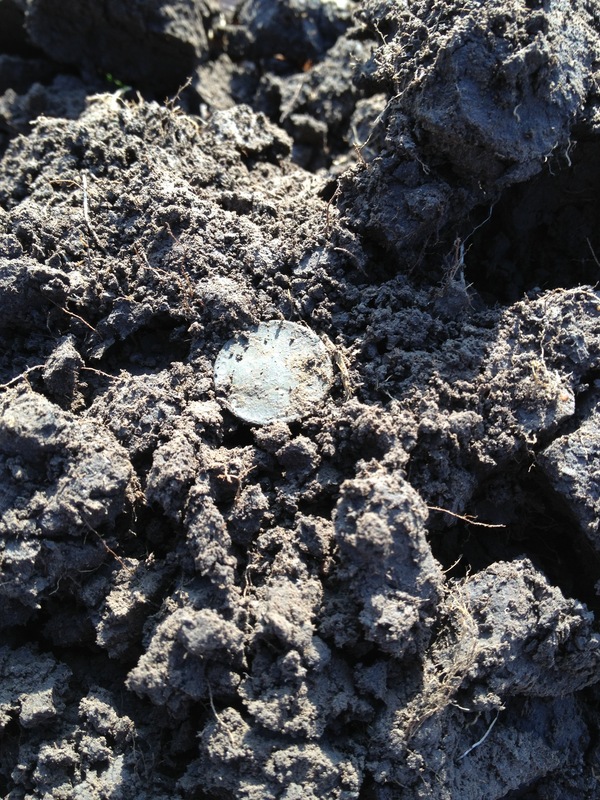 I will definitely be out tomorrow at a site that dates back to the 1870’s in hopes of finding a couple more silvers before years end! Well the last two days have been brutal on me. I have metal detected for a total of 6 hours and my body is feeling it. Saturday morning we started our hunt at a home from the 40’s that is next to a farm field that is where the land was originally homesteaded in 1860. We had 4 guys and 2 kids hunting. One of the hunters was swinging his brand new ATPro and came up with a couple of tootsie toys. We also had a few other interesting digs including a few wheats and miscellaneous building parts from the field. Our next stop was a farm field that was a church somewhere between 1885 and 1915. The field was about 25 or 30 acres and we had to narrow down where the church was. For those readers that do research via old maps you know how tricky it can be to pinpoint an area. The old maps are marked by a dot or a simple line drawing of what was there. We had 4 detectorists who spread out and were reporting finds to each other. I am still a little amazed at what my first find was. I got a good signal out of the Ace that pinpointed at 4″ deep. 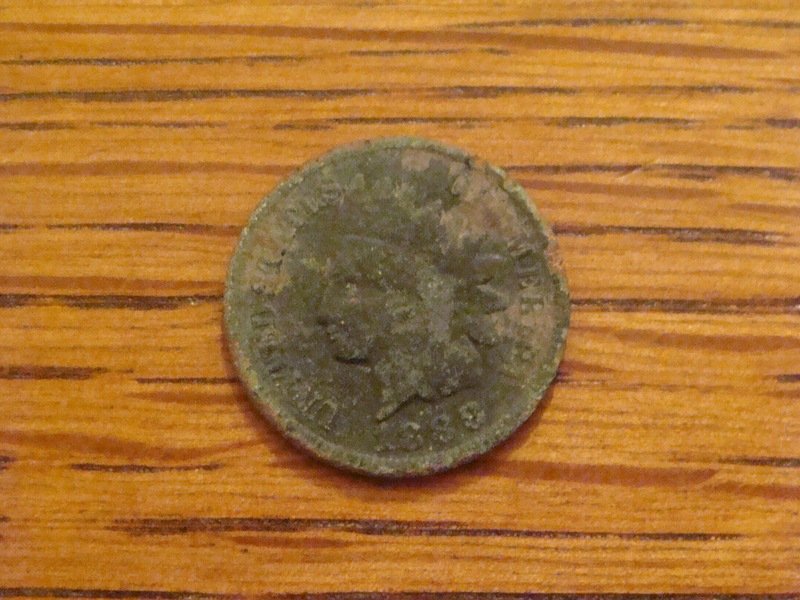 I dug my plug and was blessed by a bent up and trashed Indian Head penny. This ended up being my only good find of the day. After the hunt had ended and we were talking about the days events I cleaned it up enough to determine the year. 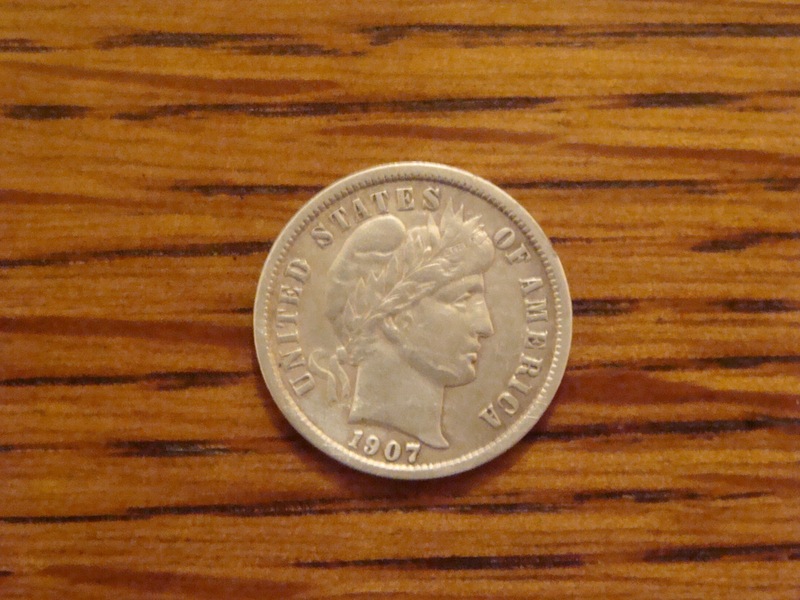 1883 which is my oldest coin to date! There are two things I learned during this hunt. Farm field hunting is tough. It isn’t easy to swing your detector. There is also the fact that for the last 70+ years machinery has dragged the residual church everywhere in the field. Sunday afternoon I met up with a couple of guys to detect an 1870’s farmstead that is still standing and in use. The setting quickly took me back in time with a limestone home, barn, and stone walls. It was 27 degrees and breezy. On paper this looked like it would produce all kinds of coins. But, it didn’t. As a matter of fact 3 of us swung for about 2 1/2 hors and found 2 pennies. All 3 of us were getting mentally exhausted and slightly frustrated. One of the group members spotted an abandoned farm home across the street and we decided to hunt it. 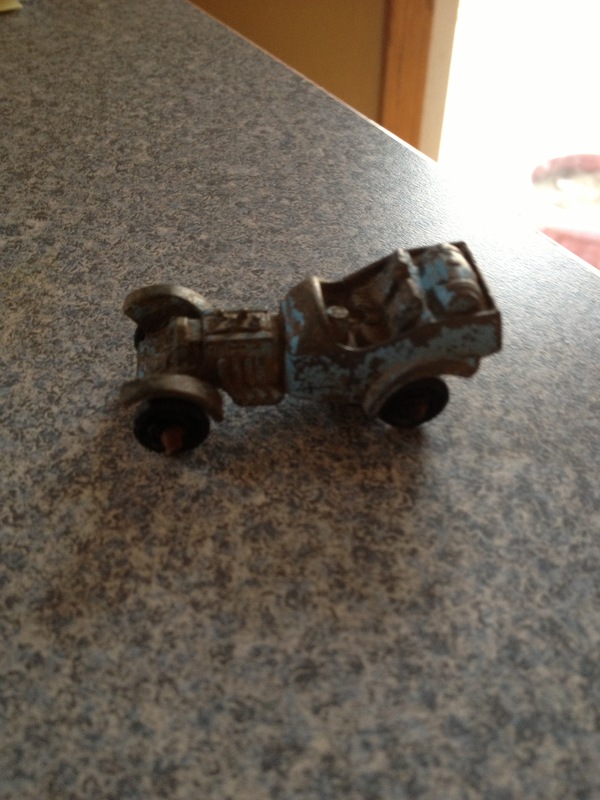 Things improved slightly with 2 wheat pennies, some costume jewelry, and a tootsie toy. Once the sun started sinking we closed up shop and headed home. All in all the last two days have been cold, mentally brutal, and fairly un productive. Over the next two days the focus shifts to the important things in life, family and friends. Where to start… I guess at about 8:30 this morning! Kolton and I went to the site I started at late last night. I detected in the opposite direction that I did last night. I focused on a small (30 x 30) area of the large lot. 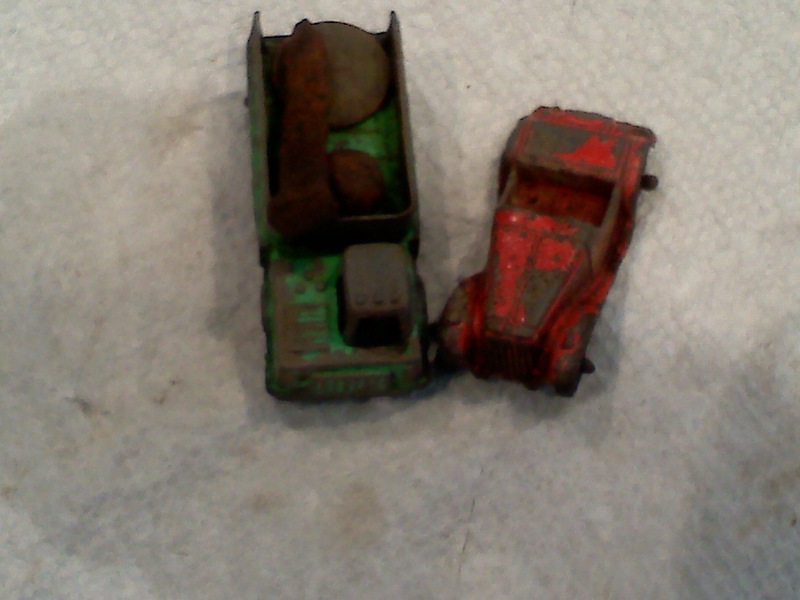 We hunted for about an hour and a half and the hunt yielded three wheats and a blue Tootsie Toy roadster. I was only digging the best sounding high tones. When I got home I was inspecting the wheat cents and couldn’t quite make out the date on one of them. It was either a 1914 or 1916.. Queen Ukena and I agreed that I should clean it to a point that I could see it. I got the mintmark identified before the year and it was a D. We were both hoping for a 1914D.. 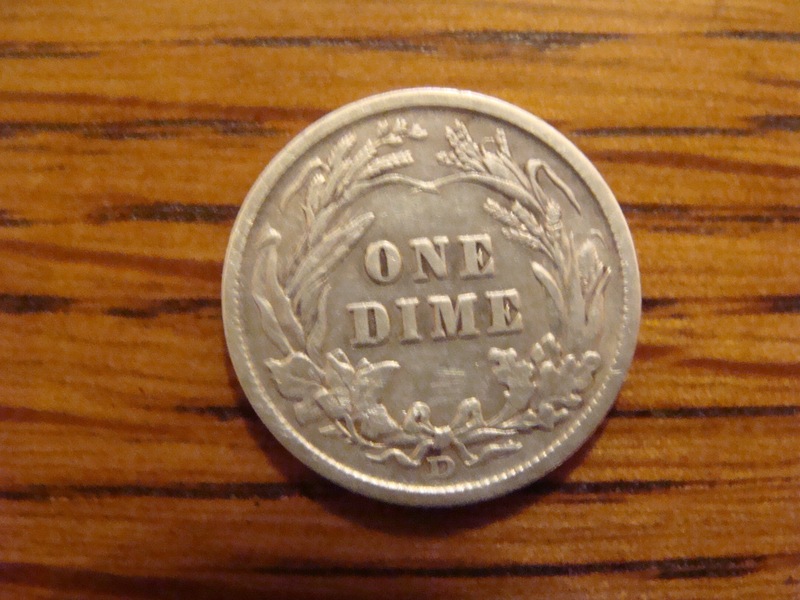 I continued cleaning and it ended up being a 1916D… Deflate! You can check wheat penny values here. Later in the day the youngest Ukena boy went down for his nap. The oldest Ukena boys were just lounging around our hacienda. I decided to hit this site again because I knew it held silver.i even mentioned this to Patton from the forum. I again focused my attention on the same section of ground. I was digging tones that were not perfect and clear. 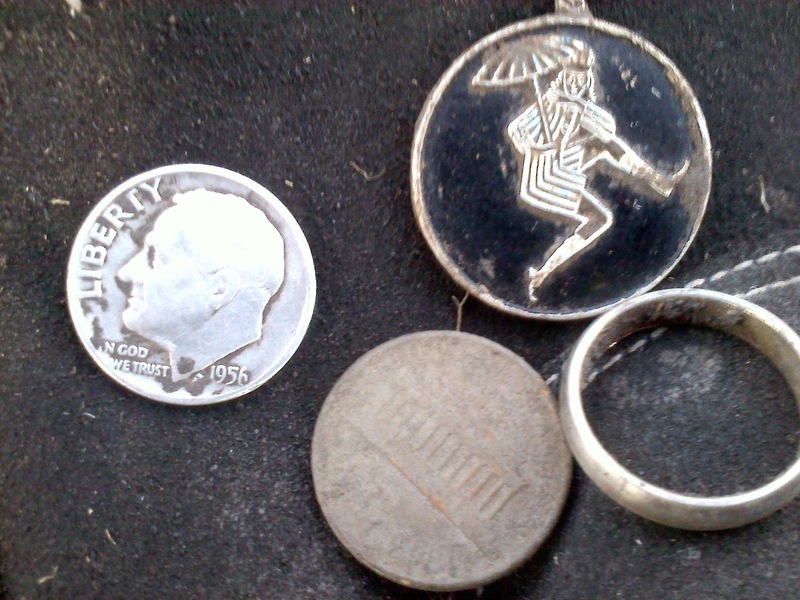 I dug alot more trash but I also dug deeper coins. Then I got a clean, pure, belltone out of the Ace 250. The signal was reading penny/dime at 8+ inches and then it settled at 6″. I want to make a side note here. I had dug probably 20 coins out of this area already and the deepest one was 5″. 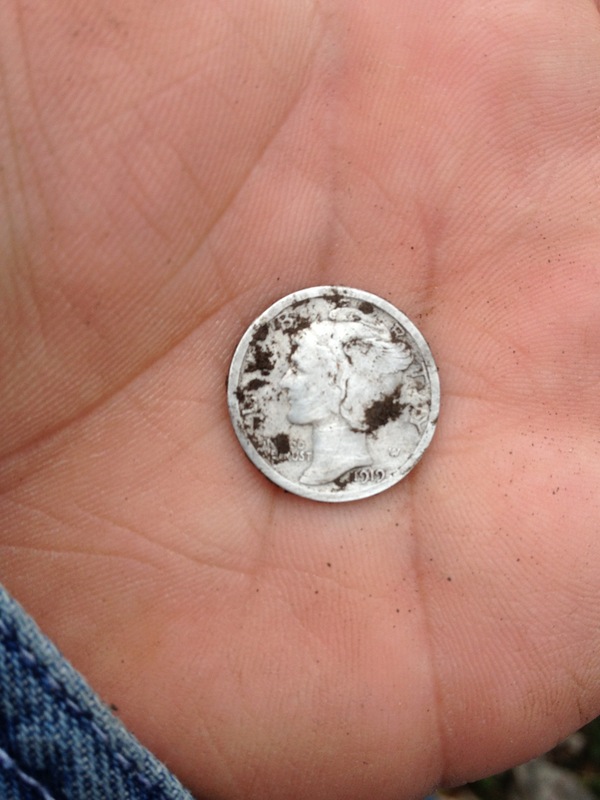 Anyways I cut my plug and pull out a 1919 liberty dime! I love these coins! No matter how many of them I dig I love seeing lady liberty on the face of them. 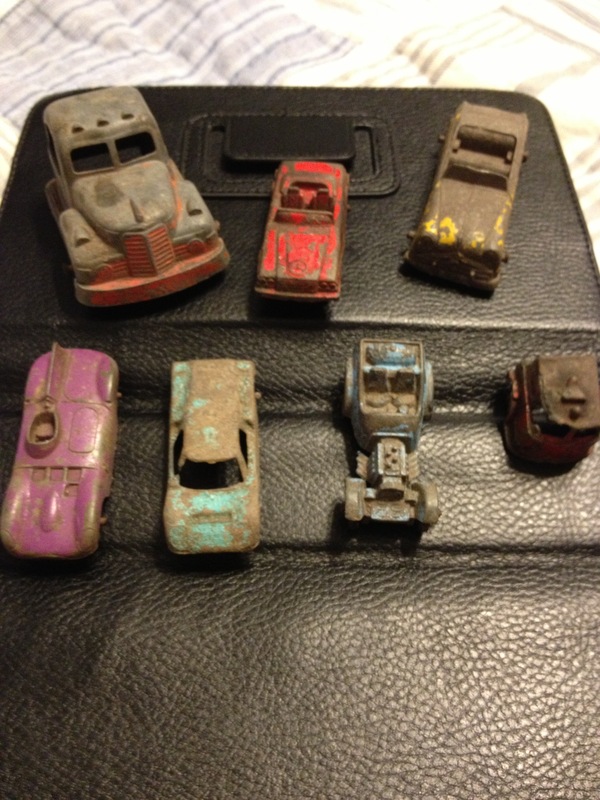 The third pass over this section yielded 1 silver, 3 more wheats, 2 old nickels, and a half of a tootsie toy. The picture with the finds on a paper towel are from the third trip only. For those of you that read PulltabMiners blog you know that he has been writing quite a bit about the chances of a site being hunted out. I have to say that I am starting to agree with him. All in all I have dug 50-60 coins out of this small 30 x 30 area. 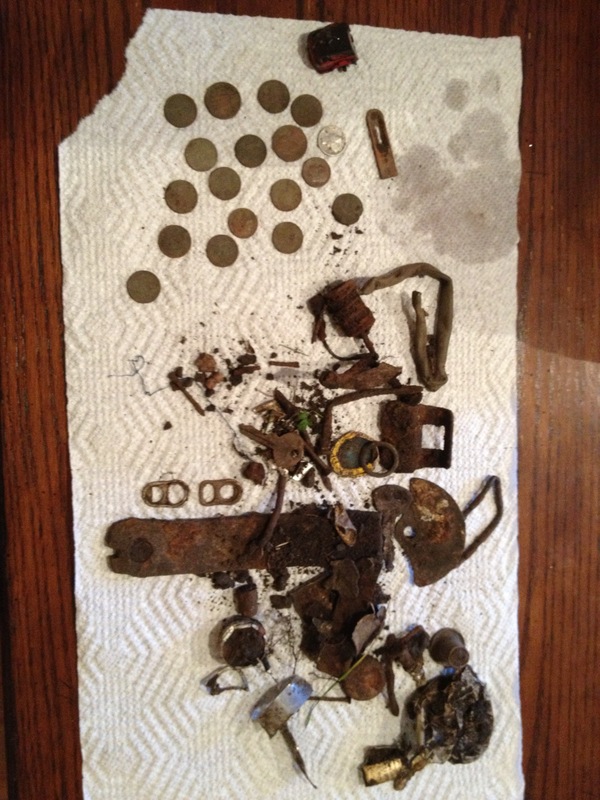 On the second and third trips I was digging coins 5-6 inches from other targets I dug in previous trips. Do I dare say that the more you hunt a place, the more it reveals?